Microsoft is working on adding a more secure feature to the latest build of the Windows 10 Creators Update. 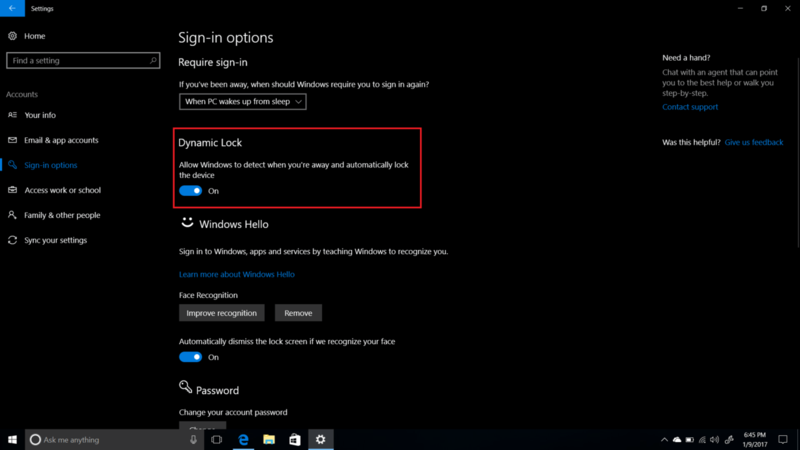 The new feature which is called Dynamic Lock will automatically attempt to detect when the user is no longer in front of the PC, and will lock and secure the PC. We were told that internally, the feature was referred to as Windows Goodbye, Which explains the whole idea of the feature. We are not exactly sure on how Microsoft will implement this, looking at how Microsoft will detect interactivity. This could be the upgraded version of “after 5 minutes of inactivity, lock my device” or a more robust feature like utilizing proximity sensors and more to detect when the user is no longer in front of the PC. Microsoft is planning to deliver Dynamic Lock as part of the Windows 10 Creators Update, expected to arrive in April.